Debating Matters came to MidKent College on Wednesday 13 February to give eight local schools the chance to test their ideas and arguments in the unique debating format where substance rather than style carries the day. After a hard-fought day of debate, it was Queen Elizabeth’s Grammar School (also known as QEGS) who came out on top, impressing the judges and their peers with their outstanding ability to marshal arguments and deliver ideas. In a heated final debate on the motion ‘Populism is a threat to democracy’, the winners successfully argued that we should be wary of populist leaders who draw a distinction between the elites and the people. Whilst fellow-finalists Invicta Grammar School argued fiercely that populists can give voice to important democratic concerns, the arguments of QEGS in the end carried the day. With generous support from the hosts and from Localis, the neo-localist think tank, a fierce day of debates saw the schools tackle topics such as ‘We should build on the Green Belt’, ‘Social media sites should filter out fake news stories’, and ‘Autonomous vehicles will make driving safer’. 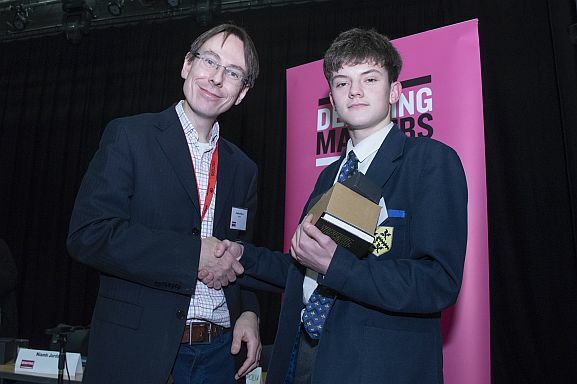 As ever at Debating Matters, the students relished the opportunity to show off their research and demonstrate their arguments to judges drawn from the fields of local business, politics and academia, among others. Debating Matters also had essential support from the hosts, MidKent College. 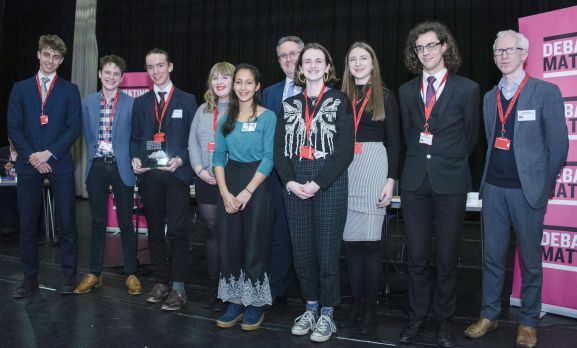 MidKent College are one of several teams to participate in Debating Matters for the very first time in the 2018-19 series of Championships. 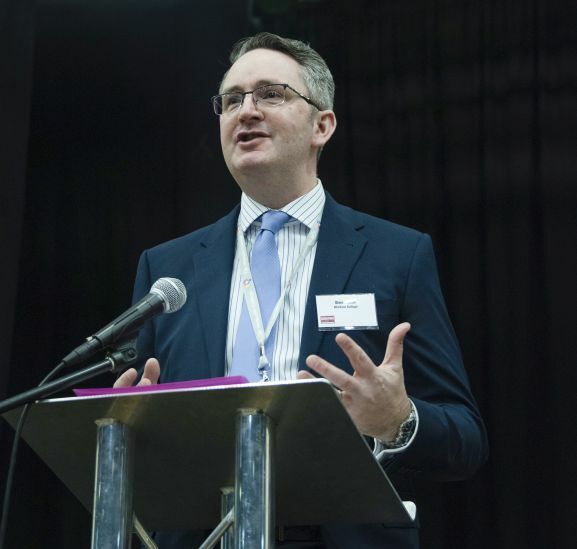 Simon Cook, the principal of MidKent College, opened the day with an impassioned introduction stressing the need to debate and discuss ideas openly and the importance of this for the development of students and society at large. 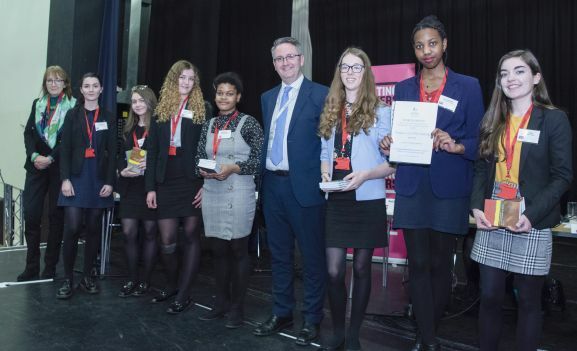 The judges also awarded Harvey Chandler of Sir Joseph Williamson’s Mathematical School the prize of ‘Best Individual’ for his penetrating questions and wide base of knowledge, with Cherish Okorafor of Invicta Grammar School and Dervla Murphy of QEGS picking up the ‘Highly Commended’ and ‘Commended’ titles respectively. In true Debating Matters style, the discussions continued after the event closed, with the schools planning to visit each other again for more debates in the future. 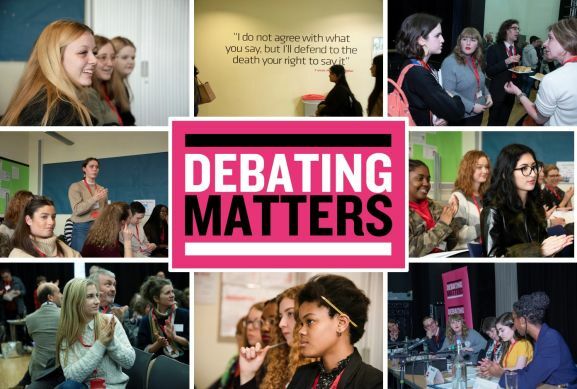 Debating Matters is proud to see a culture of debate develop in Gillingham and the surrounding area!